The White Queen tells the story of a woman of extraordinary beauty and ambition who, catching the eye of the newly crowned boy king, marries him in secret and ascends to royalty. While Elizabeth rises to the demands of her exalted position and fights for the success of her family, her two sons become central figures in a mystery that has confounded historians for centuries: the missing princes in the Tower of London whose fate is still unknown. From her uniquely qualified perspective, Philippa Gregory explores this most famous unsolved mystery of English history, informed by impeccable research and framed by her inimitable storytelling skills. With The White Queen, Philippa Gregory brings the artistry and intellect of a master writer and storyteller to a new era in history and begins another bestselling classic series from this beloved author. 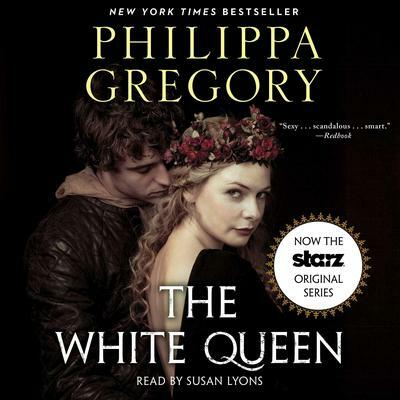 With The White Queen, Philippa Gregory brings the artistry and intellect of a master writer and storyteller to a new era in history and begins another bestselling classic series from this beloved author.